Where has the time gone? I can't believe yet another year is almost over as we enter the final few months of 2015. The temperature has dropped dramatically this week and it feels as though we have skipped Autumn and gone straight to Winter. That said, this is my favourite time of year as the colours become richer and the garments cosier. 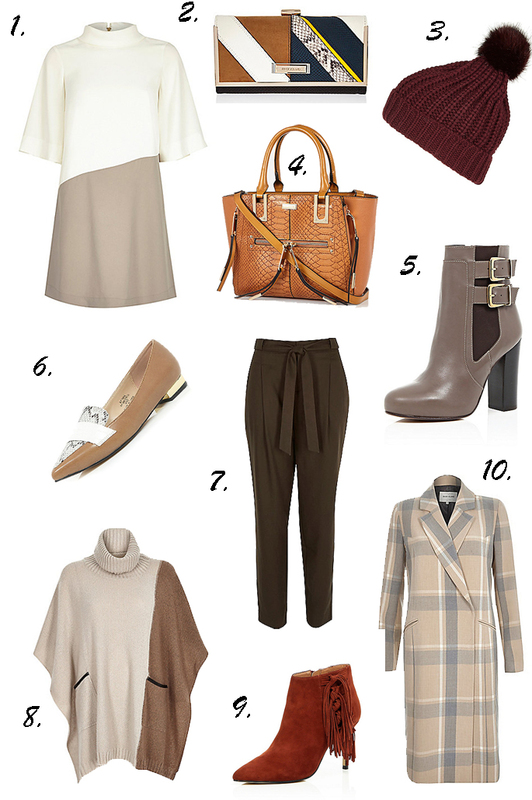 This fall, the season's colours are all about beige, tans and spice tones. Think Autumn leaves and you can't go wrong. I've picked some of my favourite Autumn finds for the new season ahead.